Thriving hot tub and log cabin dealership Caldera Spas Scotland is marking its tenth anniversary by helping to promote a charity cycle event to help raise awareness for a children’s cancer charity. The dealership, which has showrooms in Aberdeen, Prestwick and Edinburgh; is part of the thriving Caldera Spas network in the UK that is exclusively supplied by wet leisure product powerhouse Certikin and has been instrumental in producing sales that have helped to achieved the prestigious Caldera Spas top global dealer title. This year Caldera Spas Scotland chief John Hamilton and his team is celebrating the dealership’s tenth anniversary and rather than having a showroom open day event are now sponsoring and supporting a cycle ride from Lands End to John o’ Groats, commencing today, June 29 and progressing to July 12, in aid of Chloe’s Chemoo Cows. This charity was created in September 2011 in memory of Chloe McNeil who tragically passed away from a brain tumour aged 11. The essence of Chloe’s Chemoo Cows is to bring comfort and happiness to children and young people in a way she would have loved. 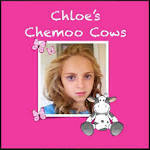 Chloe’s Chemoo Cows was set up in September 2011 in memory of Mark and Elaine McNeil’s only child Chloe. Chloe had just turned 11 when she was diagnosed with a Diffuse Pontine Glioma, a tumour in her brain stem. She was the centre of their lives, a typical ‘girlie’ girl, her favourite colour was pink and she loved anything that sparkled. She was a keen gymnast and spent hours training with her club Irvine bay Gymnastics. She loved fashion, art, reading and writing, her dog TJ and adored cows! After returning from a holiday to Florida Chloe fell ill. Over a period of just a few weeks she became very sick. Suffering from dizziness, double vision, headaches and vomiting most mornings. After several visits to the GP Chloe was referred to the hospital for further investigation. Six weeks after their holiday the MRI scan detected a brain tumour and Mark and Elaine were given the devastating news that Chloe would not survive. The tumour was inoperable and the median survival rate was 9 months. Chloe was immediately started on a multitude of medication including anti-sickness medication as well as steroids to reduce the swelling around the tumour. She then had radiotherapy every day for six weeks. Life was very difficult but she didn’t complain. As the illness progressed Chloe became more and more unwell. More tumours, believed to be on the meninges, the membranes that cover the brain and spinal cord, were discovered. Sadly these too were inoperable and on 16th June 2011, nine months after the original diagnosis Chloe died in her parents arms surrounded by her close family. In memory of their daughter, Chloe’s Chemoo Cows charity mission is to raise awareness of the need for brain tumour research and raise much needed funds to brighten the lives of children with cancer. To date Mark and Elaine have raised over £200 000 working alongside CLIC Sargent, Macmillan outreach nurses and hospital play therapists to ensure they meet the needs of the children. One of the first things Chloe’s Chemoo Cows does is provide children with their own Chemoo Cow gift box containing a soft toy cow, birth certificate, bookmark, stickers and wristbands. These gift boxes are well received, to date by over 300 children. Furthermore throughout the year the charity provide the children’s oncology ward with a variety of art and craft material, toys, games, books, electronic devices and games including portable DVD players and iPads as well as visiting at Easter, Halloween and Christmas with special goody bags. They also liaise with the outreach nurses to provide special items for children who are terminally ill and have been referred for a special gift. Ahead of their bike ride, the cyclists made their way down from Scotland to Lands End last night ahead of today’s start. Tonight the cyclists will arrive in Lanlivet in Cornwall and are staying at St Benet’s Abbey for the night before heading off tomorrow morning on the next leg of their charity cycle journey for such a worthy cause. “Although this is for a Scottish-based charity the cycle itself covers the whole of the UK, and it would be great for people to see the guys on the route and know who they are and what they are doing it for,” said John Hammond.